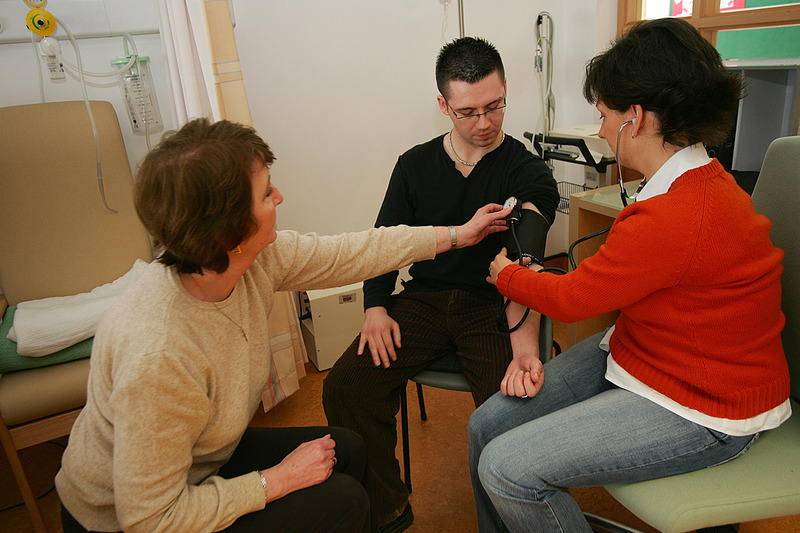 If you are attracted to the nursing profession, you should know that Irish-trained nurses are in demand in Ireland and all over the world. As a General or Psychiatric Nursing graduate of AIT’s Department of Nursing and Healthcare, your qualification will be recognised and valued throughout the world. Your Nursing education will be delivered in a modern state-of-the-art Nursing and Health Science Building in a Institute that benefits from extensive practical placement at three general hospitals in the HSE Midlands area — Tullamore, Portlaoise, and Mullingar. Our undergraduate General and Psychiatric Nursing degree programmes are fully accredited by the Nursing and Midwifery Board of Ireland (NMBI). After graduation, you can continue your professional development at AIT. If you are interested in a career in an allied healthcare profession such as pharmacy technician or dental nursing, you may be interested in the department’s Pharmacy Technician or Dental Nursing programmes. Pharmacy Technician is a two year Higher Certificate programme, with extensive placements over both years in community and hospital pharmacies. The programme is designed to provide you with a stimulating and enjoyable entry into this exciting and evolving industry. Some graduates have elected to progress to ordinary degree level at AIT by enrolling in the BSc in Pharmacy Technician. In the past, a number of graduates have availed of opportunities to progress their studies further in the UK to become pharmacists. Dental Nursing is also a two year Higher Certificate programme with extensive placement opportunities in both years in dental practices throughout Ireland. Graduates have the opportunity to add a third year to progress to ordinary degree level by registering on AIT’s BSc in Dental Practice Management with Oral Health Promotion. The Department Nursing and Healthcare hosts a Biomedical and Health Science research group which offers graduates the opportunity to undertake Masters and PhD programmes in the nursing and healthcare fields. This section will provide you with information on the main locations where placements are situated in the region and on the main contacts that you may need to contact during these placements. We hope you will find this resource useful.